This is a 5 gallon insulated hot water container with a free flowing spigot. It comes with a collection bucket. This item will pass Health Department requirements for outdoor hand washing. 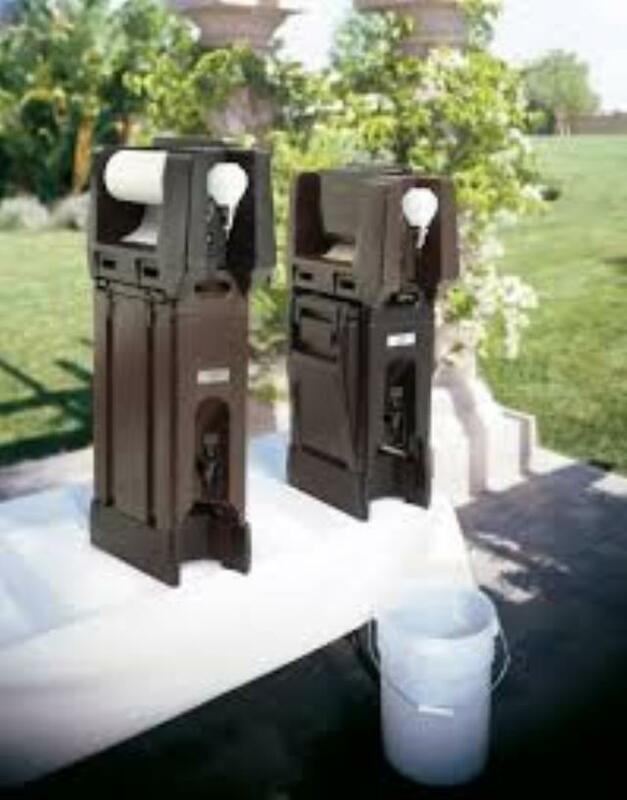 * Please call us for any questions on our hand washing station rentals in Tacoma, Lacey WA, Olympia and the South Sound Metro area.